They are truly amazing birds and have the second longest leg length to body ratio of wading birds only surpassed by Flamingos. An interesting bird. Those long legs would extend the range of feeding. Hi Jim, you could indeed stand in deeper water with them and they do seem to pick bugs of the top of the water. That’s a stunning shot, nice one. Thanks, much appreciated. Hope you have a wonderful weekend. I can see how it got its name with those delicate pink legs! Those are long legs indeed. I wish we could get some flying shots of these guys because those legs are really showcased in flight. I had never heard of this bird before. Lovely long legged creature! Hi, they are fine looking birds indeed. Thanks for the shout out Pat. We really appreciate the recognition. 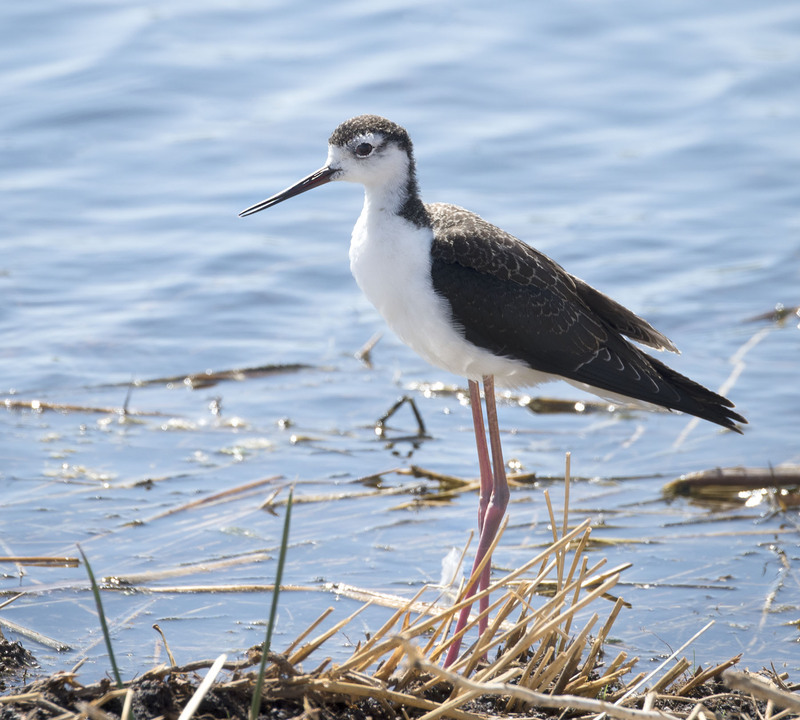 Although this photo was not taken in Utah we have seen the Black Necked Stilt frequently on our trips to the Bear River Migratory Bird Refuge. Beautiful bird and so delicate. Hope your weeks off to a wonderful start and wishing you the beat on your travels.